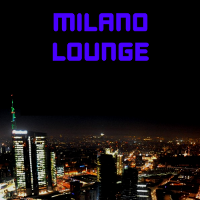 Milano Lounge is a radio station live 24/7. We mainly play Chillout and Lounge music, Ambient, Downtempo, Smooth Jazz, World music and Soft House...... Sophisticated Sounds from the Heart of Milan, Italy. Chillout (also known as Chill or Lounge music) is a general term for music whose purpose is to make the listener feel relaxed, inducing a sense of calm and relaxation. Chillout covers various styles including Ambient, Easy listening and Downtempo. It is characterised by its slow tempo and mellow sounds. Smooth Jazz is a radio format (and as some would consider, a sub-genre) of Jazz music. Although the term itself uses the word Jazz, musically the genre does not have all that much in common with traditional Jazz music, instead it is generally more orientated towards Smooth Pop and RnB.